What to do if Your Computer is Hacked? Hacking takes place by exploiting a computer system or a private network inside a computer. In other words, it refers to the unauthorized access to or control over computer network security systems for illegal purposes. If you discover that your computer has been compromised and infected with a virus or any other malware, you will need to take action to prevent your files from getting destroyed and also to prevent your computer from being used for attacking other computers. 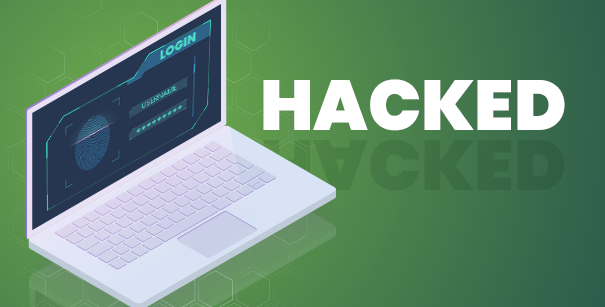 The remaining part of this article will discuss the basic steps you will have to perform in order to get back to normal after you have been hacked. Your computer will have to be disconnected in order to prevent it from communicating on a network. This type of isolation will prevent the computer from being used to attack other computers besides preventing the hacker from continuing to successfully obtain files and other data. To disconnect the computer, you will have to pull the network cable out of your PC and then turn off the WiFi connection. Shutdown your computer to prevent further damage to your files. Get out the hard drive and connect it to another computer as a secondary non-bootable drive. Ensure that the other computer has antivirus and anti-spyware that are both updated. Use the other host PC's anti-spyware, antivirus, and anti-rootkit scanners to ensure detection and removal of any kind of infection from the file system on your hard drive. Now, focus on getting all your personal data from the previously infected drive. To do this, copy your documents, media, photos, and other personal files to CD, DVD, or another clean hard drive. Move the drive back to your old PC and get ready for the next part of the recovery process. Set your drive's dip switches back to "Master". Never assume that your PC is malware free even if virus and spyware scanning reveals the threat is gone. You can be sure that the drive is completely clean by using a hard drive wipe utility to completely blank the drive and then reload your operating system from trusted media. After backing up all your data, place the hard drive back in your computer and use a secure disk erase utility to entirely wipe the drive. The disk wipe utilities could take up a lot of time to completely wipe a drive as they overwrite every sector of the hard drive, even the empty ones, and they very frequently make several passes to make sure that they have not missed anything. This may be time-consuming, but it guarantees that no stone is left unturned and it's the only way to be sure that you have finally eliminated the threat. In this step, you will have to reload the operating system from trusted media and install updates. To do this, use your original OS disks that you bought or that came along with your computer. Do not use disks that are of unknown origin or those copied from somewhere else. Using trusted media actually ensures that a virus existing on tainted operating system disks does not reinfect your PC. Download all patches and updates for your operating system before you go ahead and install anything else. Before you could load any other application, you should first load and patch all your security related software. Make sure that your antivirus software is updated before loading other applications. This is important just in case those apps are harboring malware that could go undetected if your virus signatures aren't current. You could be sure that everything is clean, however, always scan your data backup disks before reintroducing them back into your computer. After getting everything back to its original condition, you will have to do a complete backup of your system so that if this occurs again you will not have too much time reloading your system.